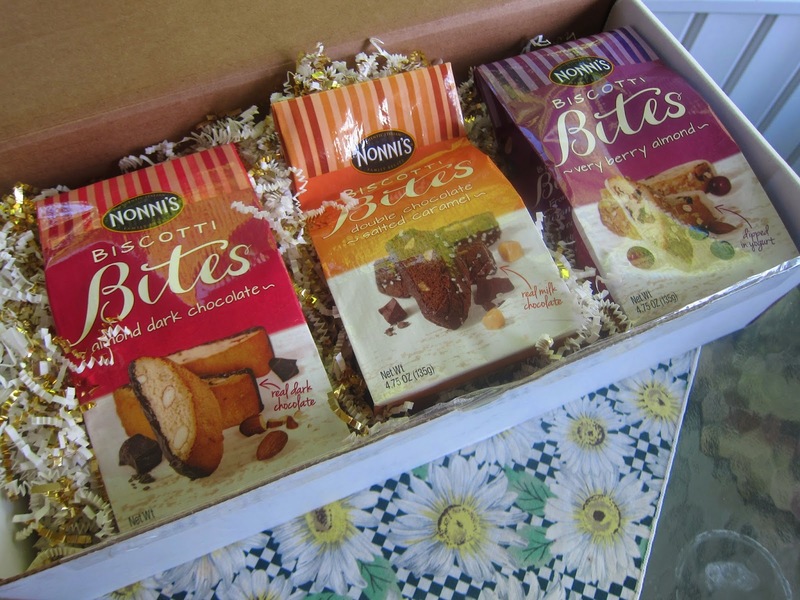 I was excited when I opened the box above to find Nonni's Biscotti Bites. They are now my favorite biscotti cookies after an earlier sample. These too are free samples to see what I think of the retro Almond Dark Chocolate and two new flavors: Double Chocolate Salted Caramel and Very Berry Almond. You may wonder what a barbecue blogger is doing with biscotti cookies. Well, it can take forever to finish up meat especially when it's slow smoked like a brisket or pork shoulder. I don't feel like cooking meals all day while making the main dinner or holiday meat. Sure, I may grab a sandwich or some of Lance's nab crackers, but I always get a craving for something sweet. When playing with fire, candy bars, ice cream, and many other sweet treats get really messy. And, I get messy grilling anyway. I find the biscotti especially in these great bite sizes just perfect for a little sweet pick-me-up as I man (woman) the grill or smoker. Huge flavor. No mess. Some of you may know I had a blood clot earlier this year and also that I'm working this summer, so I'm been struggling to catch up on my blog foods and gear. I had to bump these up, because the box was on the table calling my name. All three flavors were fabulous. 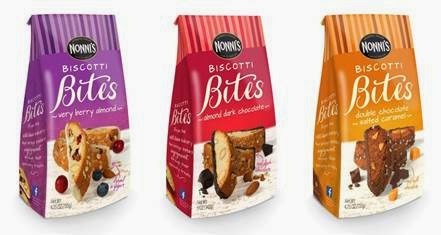 Nonni's really does make the best biscotti I've ever had. While I adore chocolate and caramel, if I had to pick, I guess I'd go with the Very Berry Almond. I've always loved fruity sweet treats. If you've never had biscotti, they are crisp cookies. Lots of people like them with coffee or milk. I'm not a dunker, so I like mine straight up. These were really yummy to eat as I made Brunswick Stew the other night. That takes several hours. No. I did not eat all three bags. Each has five servings of around five cookies. That would be a pig to eat 15 cookie servings even though I could have. I did have a couple after too. These make a good dessert. They are not too sweet, heavy, and rich for after a big barbecue throw down. Just a little treat to end a wonderful meal. If you've never had Nonni products, then I highly recommend them. I love the sweet crunch and every flavor I've tried so far has been great. If you have problems finding some of the different foods like these (which are in many grocery stores), then you can get them through Amazon.